Delivery of goods in Kazakhstan is a very promising area of ​​activity of any logistics operator, as the trade between our countries is constantly growing, and transportation systems quite strongly dependent on each other. Delivery of goods in Kazakhstan stands out among other areas of use, in most cases, rail and road transport. But in any case, the priority is the preservation of the cargo. Compliance with the delivery time, as well as the minimization of transportation costs is also very important. 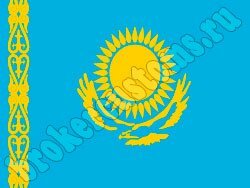 That is why the best option if necessary cargo between Russia and Kazakhstan will attract experienced logistics operator, versed in all legal, customs and shipping issues. "Association of Customs Brokers" has a wealth of experience in the field of cargo of all sizes. We accompany the goods from door to door, taking care of all occurring during transport tasks, problems and difficulties. Us the strength to organize the urgent delivery of goods in Kazakhstan, while minimizing costs. The optimal program that allows most cheaply to deliver the goods in Kazakhstan, is a program of consolidation of cargo. In this case all costs will be evenly distributed between all of the transported cargo. This approach is best used when the need to send a small consignment or small loads. The choice of route and mode of transport depends largely on the nature of the cargo. Rail transport provides the most rugged conditions and a 100% guarantee of cargo safety. The movement of trains is clearly on schedule, regardless of weather conditions. In trains there are no restrictions on the nature of the goods. Road transport has greater mobility, in simple terms, the train will travel only where the rails are laid, and they are not everywhere. Besides rail transport delivers cargo to the station, and the further movement of goods still takes place in road transport. Experts' Association of Customs Brokers "is always well-suited to the issues of delivery of goods, selecting the best option depending on the nature of the cargo, its destination, and other parameters. In order to improve the efficiency of our services, we can even offer alternative delivery schemes in Kazakhstan, which could have a positive impact on the timing and cost of transportation. Shifting its tasks of transport in Kazakhstan on our company, you can be assured that the goods will arrive at the exact place in time, safe and sound. All documentary questions of international shipping and other problems, we will undertake. We will do everything that you were with us convenient and profitable.